Garage Doors Archives | Markham Garage Doors Ltd.
First, we know many homeowners have budgets that might not let them justify spending anything extra on a garage door. And even the lowest-priced doors from the premium garage door manufacturers and products that we represent here at Markham Garage Doors are top quality. So we’re not warning you away from low-priced garage doors. But we are encouraging you to consider all the costs of any door you buy. Before you determine which one will be the least expensive door in the long run. Entry-level garage doors aren’t usually insulated. While many homeowners consider the garage to be ‘outside’, they don’t consider the lack of insulation to be an issue. But if your garage is attached to your home, even though just one wall, any heat or cold that gets into your garage can get into your home too. And if your garage door isn’t insulated, lots of heat and cold will get into your home. When it does, it makes your furnace and air conditioner work harder and more often. And your energy costs, in summer and winter, will go up. Usually, once you move up to even a middle-priced garage door, it will be insulated. Insulation doesn’t just keep out heat and cold, but noise and pollution too. How does that make an uninsulated door more costly? Without insulation in the garage door, you will not be able it use the garage for anything else other than storage. But with an insulated door, you can at least entertain the thought of using the garage for additional living space., which would be very costly to add otherwise. The foamed-in-place insulation used in garage doors reaches into every nook and cranny of the door. This helps reinforce the door and protect it from the inevitable dings it can get from your car and road hockey team, or day-to-day wear and tear. Whatever type of garage door you would like to install, contact us here at Markham Garage Doors, we have the door you’re looking for. 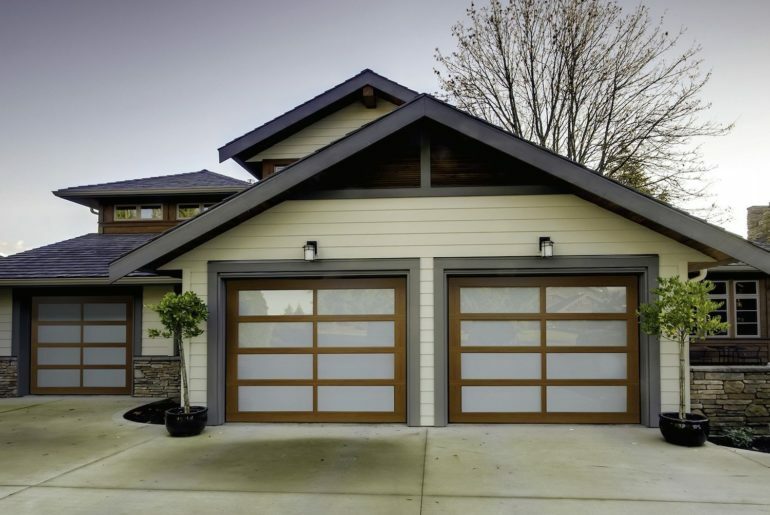 Considering everything about your garage, the garage door is the star of the show. Without the unwavering security it provides, you wouldn’t be able to store anything safely in your garage. Without its ability to easily and quickly open and close, you wouldn’t be able to drive your car in and out of the garage; or simply wheel out your lawn mower, snow blower, boat or anything else, large or small, you keep in your garage. When movie stars get an award. they often thank all the people who supported them and made the award possible. Well, as the star performer of the garage, your garage door owes its ability to do so many amazing things to a long list of supporting hardware. Every piece works together in order to create the garage door’s support system. Without the following list of hardware, your garage door wouldn’t even be able to remain upright on its own. Two types of springs work together to make it easy to open and close your garage door. A coil-shaped torsion spring sits horizontally above the door. It counterbalances the huge weight of the door. Extension springs located above the horizontal tracks help keep the door level from side to side. Connecting the panels of the door, the hinges bend to allow the door to rise vertically to open and roll into a horizontal position when fully open. Located on either side of the door, the lifting cables keep the door stable during its operation. Running along either side of the door from its vertical position to its horizontal position, the roller tracks guide and supports the door. Between each panel, along with the bottom of the door and around the outside of the door on the door frame, weather stripping helps to insulate the garage from outside temperatures and wind. Most homeowners never realize the complexity of their entire garage door system. If you want to learn more about your garage door and garage door’s support system, how it works and how to keep it working, contact us at Markham Garage Doors.